Where in the world is Jenny Woodenmum? 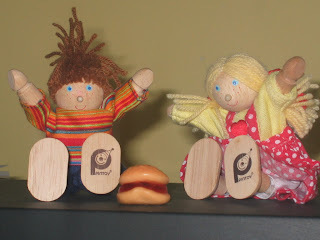 : Yippeee Hamburgers for lunch ! Jessica and Johnny got very excited today - "Yippeee, hamburgers for lunch ! Jenny Woodenmum said it's too hot to cook so she's taking us to "le McDo" for lunch instead !" 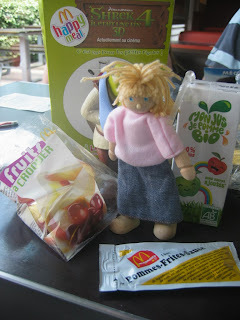 Jenny Woodenmum likes McDonald's in France because you get organic apple juice and little fruit bags of apples and grapes in le Happy Meal ! 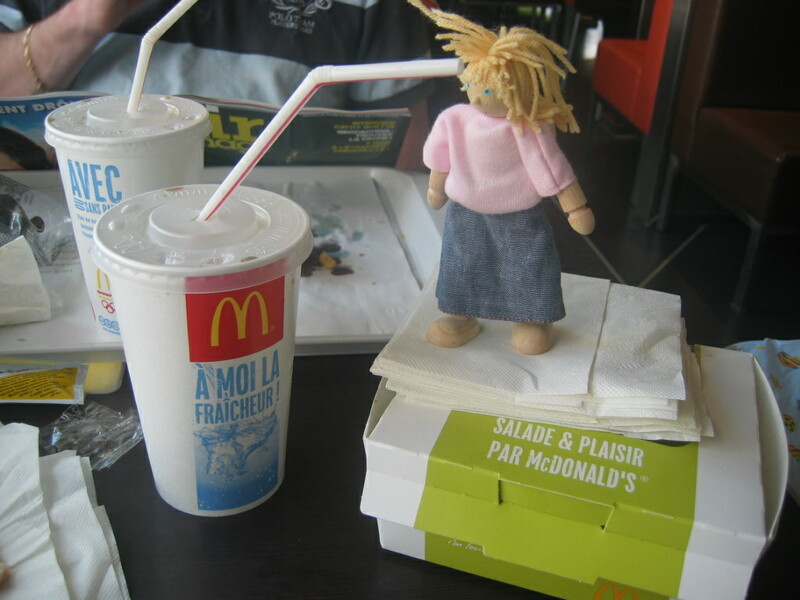 And look how healthy Jenny Woodenmum has been in her food choices - Diet Coke and "Salade & Plaisir par McDonald's" ! But look ! Sneaky Jenny ! 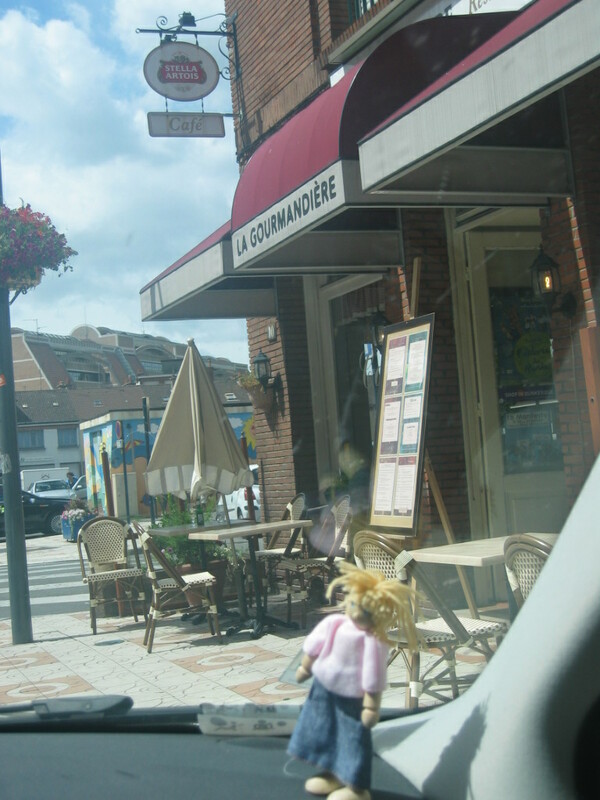 When the kids were happily playing in la Play Zone, she sneaked off to the nearby brasserie for a cheeky glass of vin rouge ! Naughty Jenny ! 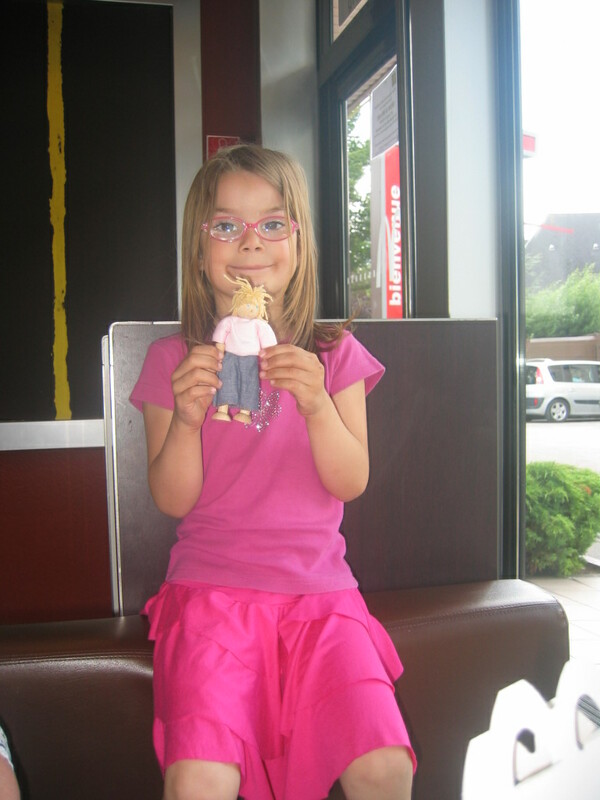 Well done Juliette - a first-class puppeteer today ! she looks a little sozzled after that wine to be honest!! LOL She definitely does !! Jenny Woodenmum a girl after my own heart, a Maccy D's and a cheeky red! Love the Winter Wonderland story.Keep up the good work. Well done.